Anyone who is fortunate enough to have a dog will know that any strange noise will entice a dog to howl. They can be triggered by a firetrucks siren or a baby cry, in this instance, the baby was talking and it enticed the dog into a full-blown competition. 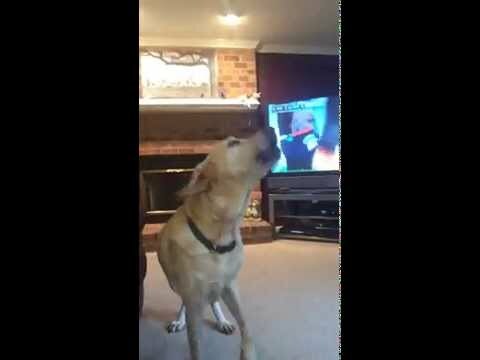 Dogs enter Howling competition, 5 month old wants to battle.